...and I only used 5-6 cloves, not nearly enough, but I was in a bit of a hurry (no excuse, I know). 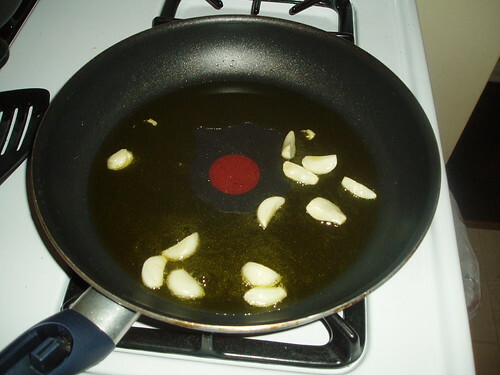 At any rate, let the garlic simmer on med-low heat in the olive oil for 3-4 min. I love garlic. Mr. Wonderful loves garlic. We agree that there's no such thing as too much garlic.